Showing results for "pride prejudice 200th"
We found 0 results for "Pride and Prejudice the 200th anniveraary audio edition". 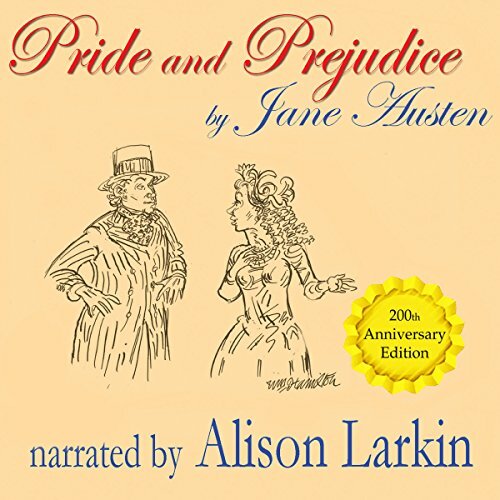 Jane Austen's most famous novel, Pride and Prejudice, is brought to sparkling life in this new unabridged recording by AudioFile earphones award winning narrator Alison Larkin. A witty and always original voice, Alison Larkin is the perfect vessel to bring Jane Austen's classically satirical second novel to a new audience. This fresh and hugely entertaining listen from 'the English American' joined with Austen's deft satire, results in pure, boundless FUN.